Copyright: © 2017 El Din UAAS, et al. This is an open-access article distributed under the terms of the Creative Commons Attribution License, which permits unrestricted use, distribution, and reproduction in any medium, provided the original author and source are credited. Introduction: Loin pain is a relatively common complaint seen in a variety of clinical settings. Many of these cases seek medical advice of urologists and nephrologists based on the impression that this pain originates from the urinary tract. In spite of the importance of diseases of the urinary tract as causes of loin pain, many of the patients presenting with this complaint are devoid of any urinary abnormalities. Methods: Differential diagnosis includes musculoskeletal, respiratory, gastrointestinal, neurologic and cutaneous causes. In this work, we present a series of 187 cases presenting to our center with loin pain that did not prove a renal cause. Results: During physical examination of these cases, tenderness over the lowermost ribs above the flank at the posterior and mid axillary lines was eminent. Within the laboratory and radiologic work-up performed to these cases, very low serum level of 25 (OH) vitamin D was a constant feature. Vitamin D replacement was associated with complete relief of the pain in most of these cases. Conclusion: The presence of tenderness over the costal margin rather than the renal angle proper should alert examining physician to the possibility of disease in the ribs. After exclusion of trauma as a cause of this pain and tenderness, estimation of vitamin D level is a mandate. The spectrum of diseases that present with loin (flank) pain is wide. It includes kidney and ureteric stone, pyelitis, pyelonephritis, peri-nephric abscess, cystitis, salpingitis, paoillary necrosis, ureteric obstruction by either structure, blood clot, neoplasm or retroperitoneal fibrosis. Cystic diseases of the kidney together with neoplasms are other causes of dull aching loin pains. Trauma and infarction of the kidney cause acute loin pain while vesicoureteric reflux represent one of the causes of long term loin pain that usually exaggerates during the act of micturition. Extra renal causes include gastrointestinal diseases that include gall bladder diseases, diverticulosis of the colon, spastic colon and chronic constipation, musculoskeletal causes including spinal, muscular and thoracic cage causes, pleural causes and neurologic causes. The pain originating from pathology involving the 10th, 11th, and 12th ribs usually mimics renal pain in its distribution and is usually described as dull ache, sharp or stabbing pain. In order to reach the proper diagnosis, the patients pass into a long chain of diagnostic procedures that start by proper history of the duration, description, intensity, diurnal variation, radiation, relation to posture, movement, respiration, cough or straining, and relation to the act of micturition or defecation. In addition, the patient should be inquired about history of dysuria, hematuria, frequency or strangury, history of constipation, abdominal distension, abdominal pains, and flatulence, history of trauma or heavy weight bearing or strenuous exercise and history of cough or fever. This is followed by examination that should pay maximal attension to the skin examination for rash of Herpes Zoster, chest auscultation for the possibility of pleurisy, examination of the abdomen and back trying to elicit site of maximal tenderness and examination of the spine and sacroiliac joints. Laboratory investigations should include urine analysis, CBC and in some cases we might also ask for stool analysis. Further laboratory investigations are guided by clinical examination results and the radiologic investigations that include abdominal and pelvic ultrasonography (US), plain x-ray of urinary tract and chest, intravenous pyelography and spiral non-contrast computerized tomography (SNCT) of the abdomen. The differential diagnosis for acute and chronic flank pain includes the nearly forgotten ‘12th rib syndrome’. The urologists often overlook this syndrome, especially in the recent few decades where SNCT has almost replaced the thorough clinical examination of patients with flank pain. Confirmation of this diagnosis is accomplished by careful clinical examination, elicited by exactly reproducing the patient’s pain on point compression over the tip of the involved rib, usually the 10th, 11th or the 12th ribs . The ‘hooking manoeuvre’ is an alternative simple clinical test that was first described in 1977 , in which the examining clinician places his or her hand underneath the lower costal margin and pulls anteriorly. This manoeuver elicits pain that may be severe enough to make the patient shouting. The 12th rib syndrome was first reported in 1919  as a cause of pain that ‘may simulate the referred pains of visceral disease. Later on, descriptive reports further characterized the condition [4-6]. Most of these reports were anecdotal or descriptive case series, but two authors reported this condition in 1%-5% of patients attending general medical or gastro-enterology clinics [7,8]. The etiology and pathophysiology of this syndrome was not clear, however, a recent case report has documented osteomalacia of the ribs as a cause of flank pain . Osteomalacia in this case was due to hypophosphatemia induced by the long-term use of tenofovir to treat chronic hepatitis B. 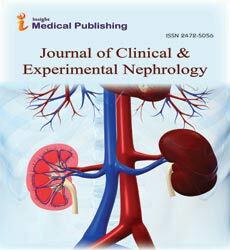 This article presents a group of patients that presented to our center with loin pain that proved to have an extra renal cause. Further work up disclosed the existence of vitamin D deficiency as a constant feature in all cases. Over a period of three years (starting by January 2014 till end of January 2017) 187 patients sought medical advice because of distressing loin pain. Table 1 summarizes the demographic data of these patients. The majority of patients (85%) were Egyptians living in different governorates. However, some were living in the adjacent Arab countries (Saudi Arabia, Yemen, Syria, Sudan, Libya and Somali). The clinical examination in these patients elicited appreciable tenderness over the lowermost ribs above the renal angle. The tenderness was maximal at the tips of the lowermost 3 ribs. The renal angle itself was devoid of any tenderness in spite of the complaint of most of the patients that they feel the pain within the angle. Urine analysis, plain X-ray of the urinary tract and US of the abdomen and pelvis supported the initial clinical impression that these patients have loin pain of extra-renal cause, likely of musculoskeletal origin. SNCT confirmed the non-renal cause of the patients’ complaint. Chest X-ray did not show any finding of significance. In view of the clinical finding of appreciable tenderness over the lowermost ribs, the possibility of osteomalacia was suspected. For this reason, serum level of 25 (OH) vitamin D was requested. Table 1: Demographic data and laboratory investigations. The serum level of 25 (OH) vitamin D indicated moderate to severe deficiency in all cases (Table 1). All patients were prescribed 200,000 units of cholecalciferol given intramuscular every month. Most of the patients reported dramatic improvement in their symptoms starting few weeks after the first injection. Vitamin D deficiency is a common health problem in children and adults in Egypt as well as in other developing countries. Inadequate dietary intake of vitamin D and insufficient sun exposure increases the prevalence of vitamin D deficiency. In Egypt and adjacent countries, sunray is adequate, however, most of the females wear clothes that cause inadequate exposure to sunlight . Vitamin D deficiency manifests as rickets in children, while in adults osteomalacia is the prevailing manifestation. Osteomalacia is characterized by impaired mineralization of bone matrix . The onset of osteomalacia is usually insidious. Main symptoms of osteomalacia include generalized or localized bony pains and proximal muscle weakness. These symptoms may be misinterpreted as spondyloarthropathy, polymyalgia rheumatica, polymyositis, fibromyalgia, diffuse idiopathic skeletal hyperostosis, metastatic bone disease, multiple myeloma, myeloproliferative problems, or osteoporosis . However, on revising the literature osteomalacia manifesting as localized unilateral or bilateral loin pain due to vitamin D deficiency is not encountered. This is the first report of a large series of patients presenting with flank pain due to vitamin D deficiency. Assessment of vitamin D status is mandatory in all patients presenting with flank pain that show signs of 12th rib syndrome on clinical examination. Keoghane SR, Douglas J, Pounder D (2009) Twelfth rib syndrome: a forgotten cause of flank pain. BJU Int 103: 569-570. Heinz GJ, Zavala DC (1977) Slipping rib syndrome. Diagnosis using the hooking maneuver. JAMA 237: 794-795. Cyriax EF (1919) On various conditions that may simulate the referred pains of visceral disease, and a consideration of these from the point of view of cause and effect. Practitioner 102: 314-319. Davies-Colley R (1922) Slipping rib. BMJ 1: 432. Holmes JF (1941) Slipping rib cartilage. With report of cases. Am J Surg 54: 326-328. Stevenson FH (1951) Nerve slipping at the intercostals margin. Lancet 2: 969-970. Wright JT (1980) Slipping rib syndrome. Lancet 20: 632-634. Scott EM, Scott BB (1993) Painful rib syndrome. Gut 34: 1006-1008. Hamnvik OP, Vaidya A, Becker C (2014) Interactive medical case: wasting away. N Engl J Med 370: e12. Demirbilek H, AydoÃÂdu D, Ozön A (2012) Vitamin D-deficient rickets mimicking ankylosing spondylitis in an adolescent girl. Turk J Pediatr 54: -179. El Mahou S, Moineuse C, Navaux F, Cantagrel A, Mazieres B, et al. (2003) Osteomalacia and sacroiliitis. Joint Bone Spine 70: 310-312. Gifre L, Peris P, Monegal A, Martinez de Osaba MJ, Alvarez L, et al. (2011) Osteomalacia revisited: a report on 28 cases. Clin Rheumatol 30: 639-645.